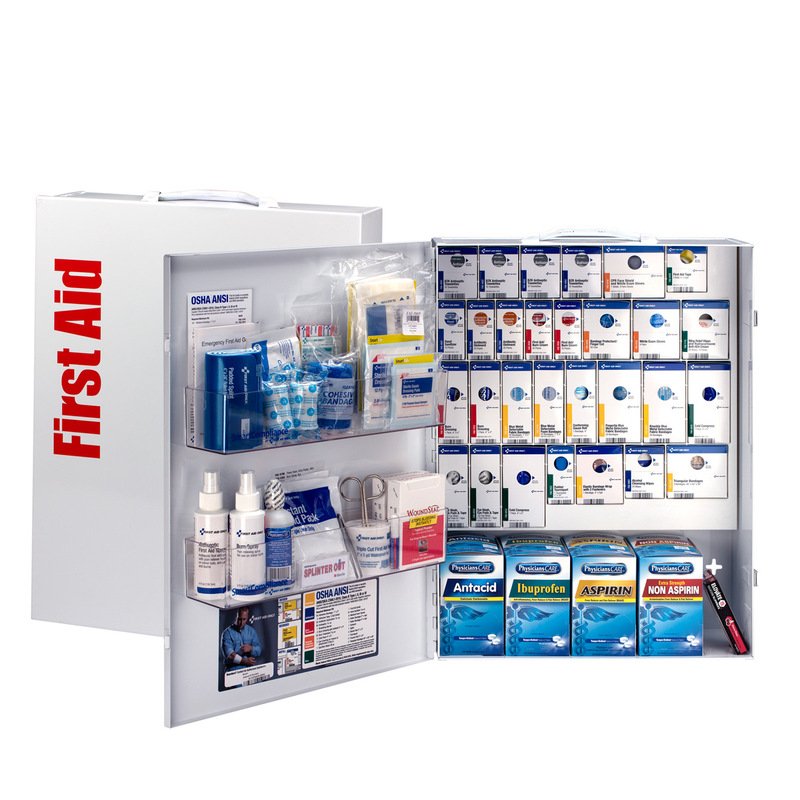 The industrial sized First Aid Only cabinet combines SmartCompliance with our most popular bulk items. Strategically designed for the Food Service Industry, this cabinet is organized for reordering ease. Higher piece counts on items, more variety to meet your needs, and color coded packaging helps you find items faster. The bottom shelf and door shelves also allow for customization. 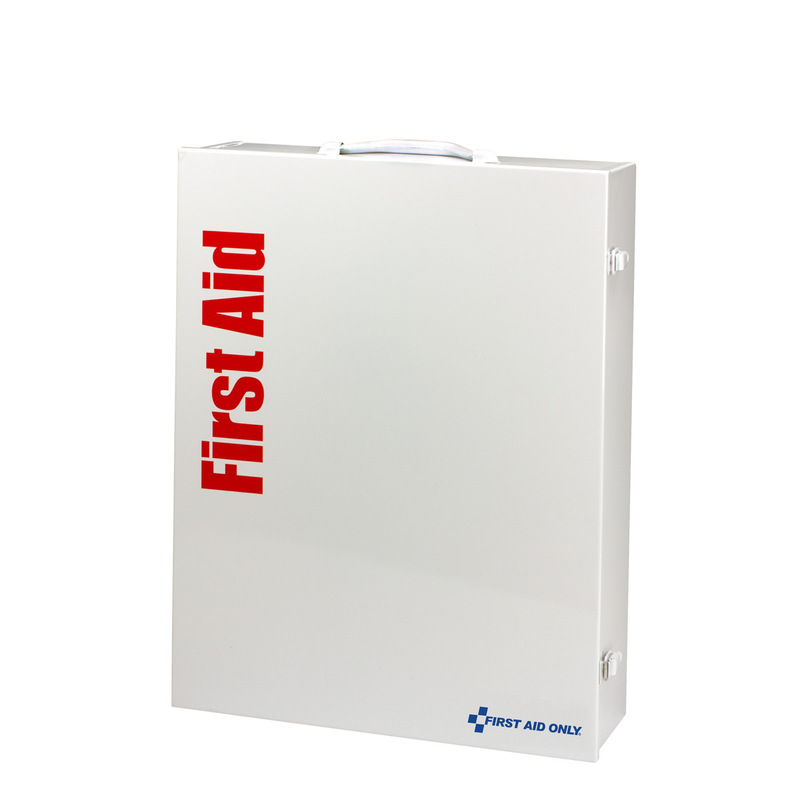 Solid steel case comes with a carrying handle and is wall mountable. 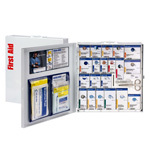 Contents exceed the 2015 ANSI Class B requirements and are sufficient to treat 150 or more people. 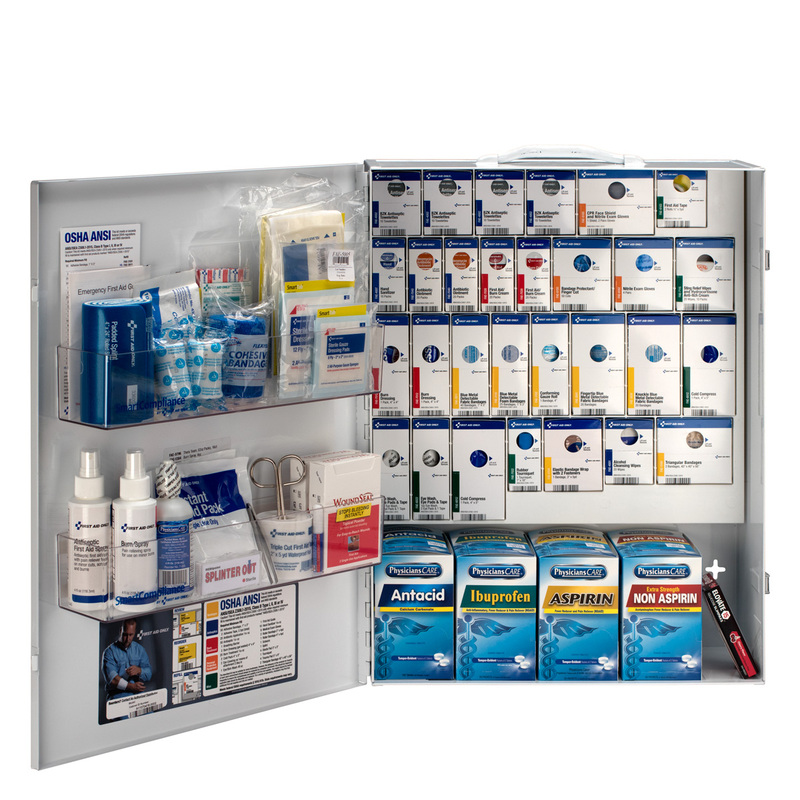 Within this cabinet, there are two powerful components working together to create the most comprehensive solution available today: Innovative Cabinet Design and SmartTab ezRefill System. This unique cabinet design eliminates disorganized and missing supplies. The clearly labeled compartments create a cabinet that is easy to use, restock, and customize to meet your specific needs. Also, the SmartTab ezRefill System is a simple but effective way for reordering and restocking, which is why it revolutionizes the replenishment process. 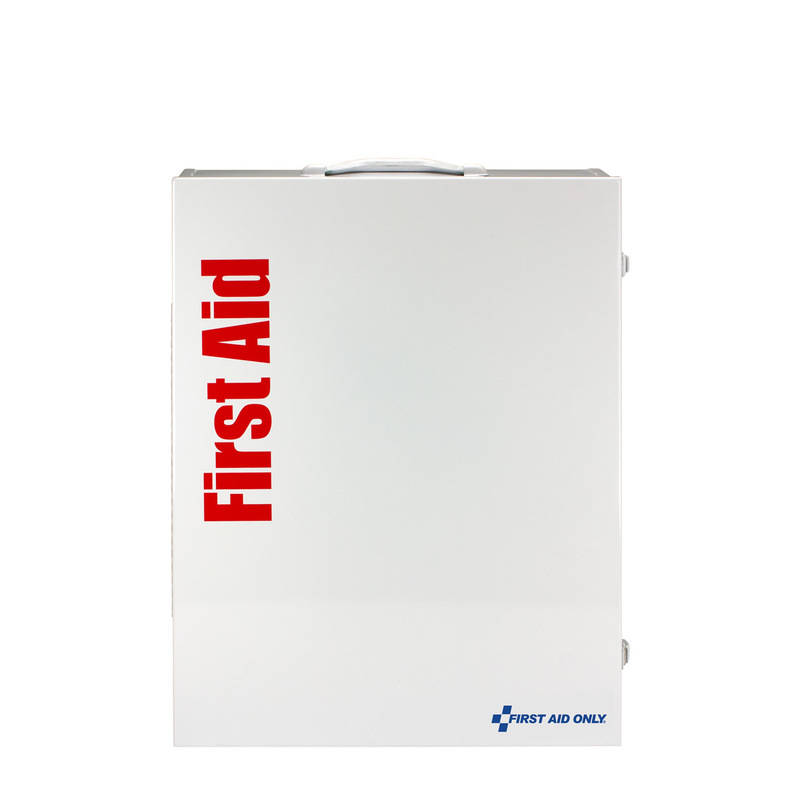 It is quick, easy, and cost effective. As supplies are used, Smart Tab ezRefill reminder tabs notify you when it is time to reorder supplies and puts reorder information at your fingertips. **The SmartCompliance tab pictured is an example of what it looks like. 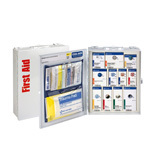 Please note that not all of the SmartCompliance cabinets will come with that specific product presented on the tab.